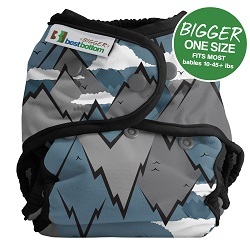 The Bigger Best Bottom one-size diaper cover system is easy to snap together and go. You choose the reusable insert that works for your baby's absorbency needs. 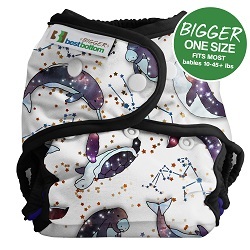 The bigger cover's leg gussets guard against leaks and the Bigger Best Bottom shell provides a roomier fit compared to the original Best Bottom Diaper - with 1.5" added to the waist and 1" added to the length of the rise. 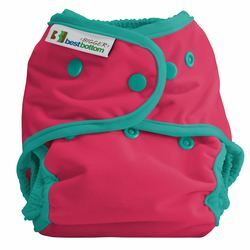 If you have struggled with pre-folds and fitted diapers, and aren't sure that pocket diapers are right for you, Best Bottom Diapers offer the best diapering alternative while allowing you a greener way to care for your baby. This one-size diapering system takes the guesswork out of changing cloth diapers and saves you time and money in the process. You'll love how easy to use the Bigger Best Bottom system is! Best Bottoms are as easy as 1 - 2 - 3! 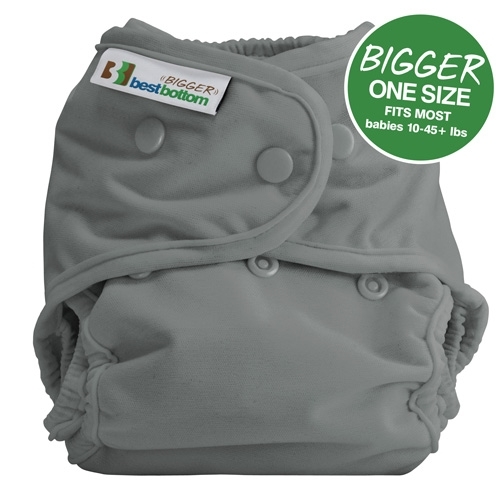 Adjust front snaps on the Best Bottom cloth diaper cover to achieve the size needed to fit your baby snugly. Snap insert into diaper. 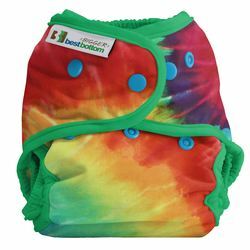 Choose from absorbent microfiber, bamboo, or hemp/organic cotton cloth diaper inserts. 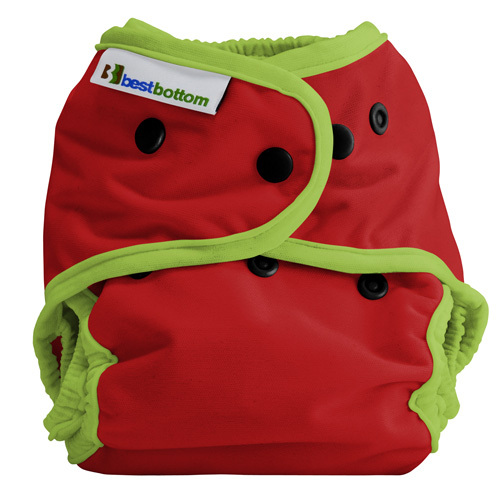 Put the Best Bottom cloth diaper on baby, and you're good to go until its time to change! When that happens, simply undo the soiled insert and snap on a clean one. How many Best Bottoms do you need? 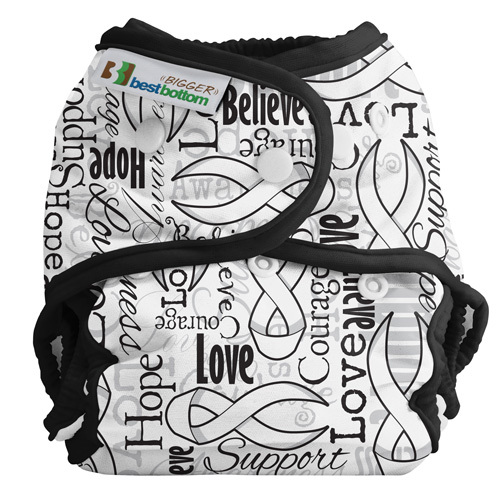 Looking for a complete diapering system? 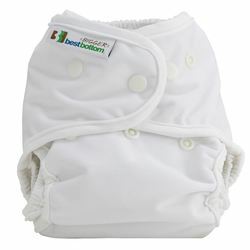 We recommend 8-10 cloth diaper covers and 18-24 microfiber or hemp/organic cotton cloth diaper inserts per size. When you consider how may times your baby poops in a 2-3 day period (don't forget those first months, either, with all those newborn explosions! 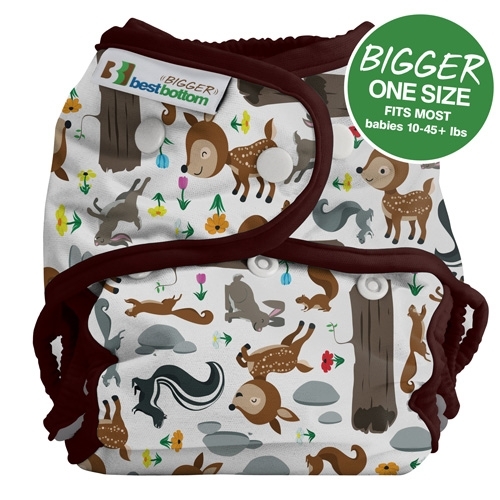 ), having this large of a cloth diaper stash should do the trick. 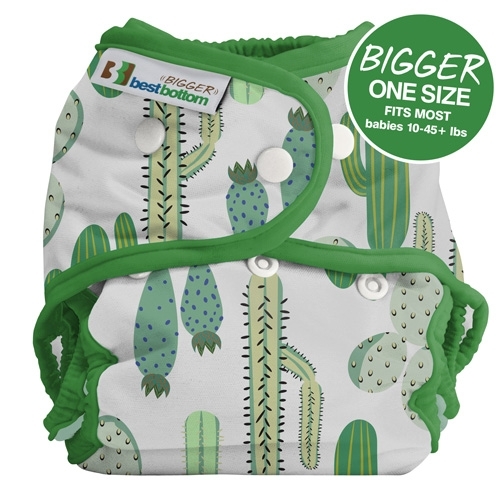 Be sure to consider which size to get for your baby you don't want too large or too small of an insert, it needs to be just right for picking up wetness and preventing leakage. 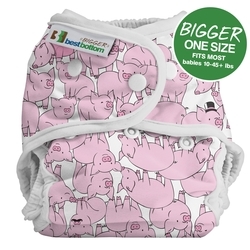 That's why Best Bottom cloth diapers offers three sizes we know all babies aren't the same, so you make the choice! Best Bottom Bigger shells fit from 10-45+ lbs. 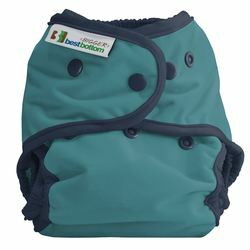 Added special leg gussets helps keep everything in, adjustable rise with four settings, and overlapping snap closure This is a very trim fitting cloth diaper so please be extra careful that none of the insert is sticking out of the cloth diaper shell. Also, after the cloth diaper is on, pull the leg gussets out around baby's legs. This will guard against leaks and help avoid any red marks. I cannot believe it took me so long to try Best Bottoms. 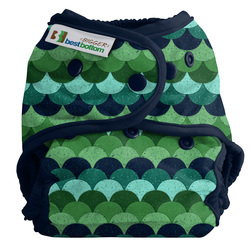 Of course, at the end of my cloth diapering journey I decide to try it and love it! The fit is awesome on my son. Its not too tight or too loose and it fits a little lower on the belly so it doesn't rub up against him and irritate him like a few other brands do. 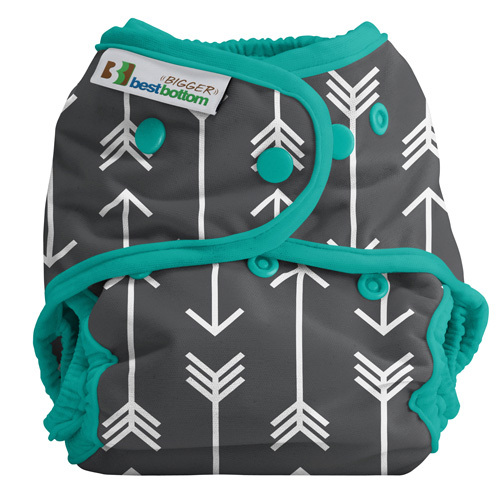 I love how you can pick and choose which type of inserts and combos will work best for your baby. BBB are my absolute favorite diapers to use! They fit great and for a long time and you can’t beat the cute prints and colors they come in! Love the prints, but not the sizing. I bought some to go over some fitted diapers at night as my daughter is a heavy wetter. The crotch part is too trim and doesn’t fully cover the fitted. This might be great for a regular cover, but I was hoping for more in a “bigger” cover. Will stick with Buttons Super covers for overnight.